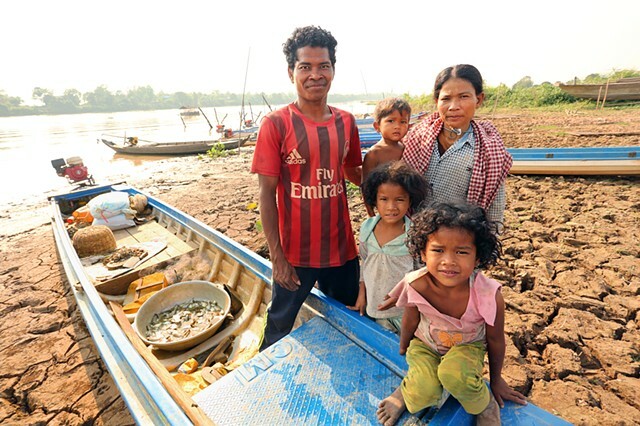 This family lives in an island village and makes its living from fishing. Note the container of small fish in the boat. Oftentimes the entire family goes out in the boat since the children are young and cannot be left alone.